I read Every Day by David Levithan and fell in love with the character known as A. It was one of the few books to ever make me cry, so naturally I had to get my hands on Six Earlier Days. 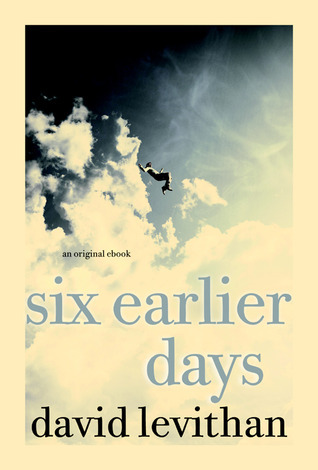 Six Earlier Days is the perfect companion to David Levithan's novel Every Day. You're quickly sucked into the life of A on page one, once more. It was nice to jump around, sometimes several years at a time in A's time line to see how A has grown to be the spirit it is today. The first few stories were slightly jagged but I quickly fell into accepting A once more as I got deeper into the story. I bow to David for crafting together the life of A and giving his readers a little something more to help understand A.